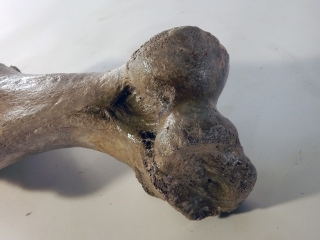 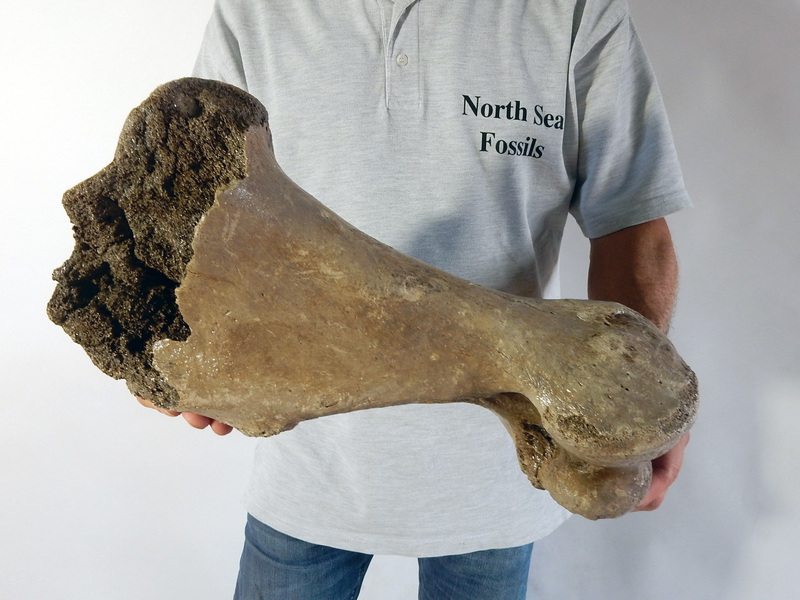 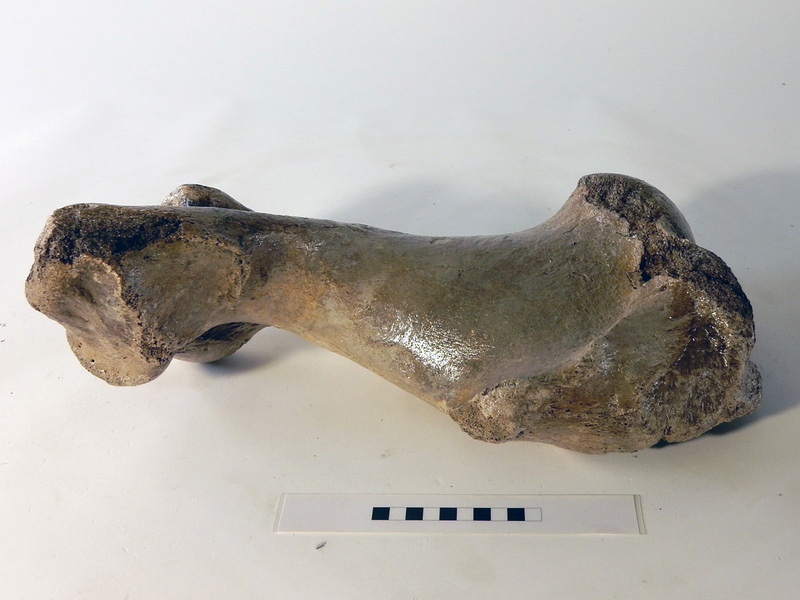 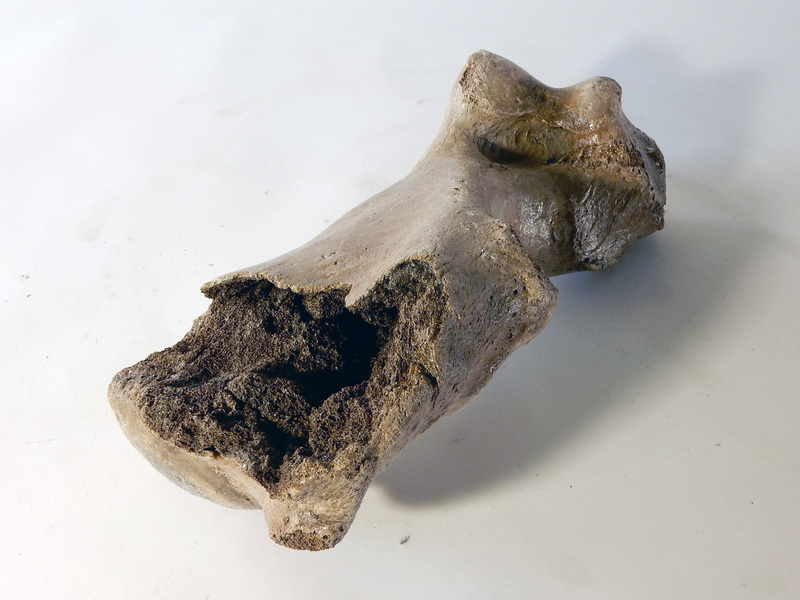 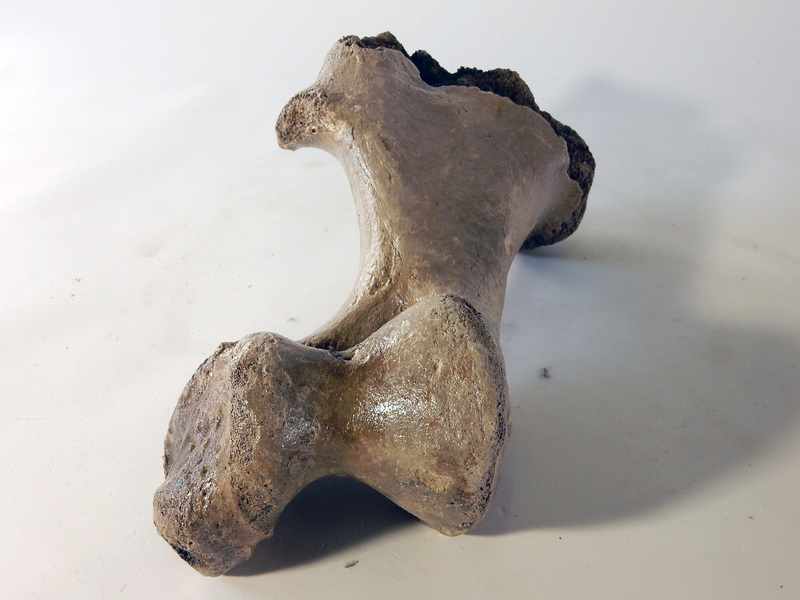 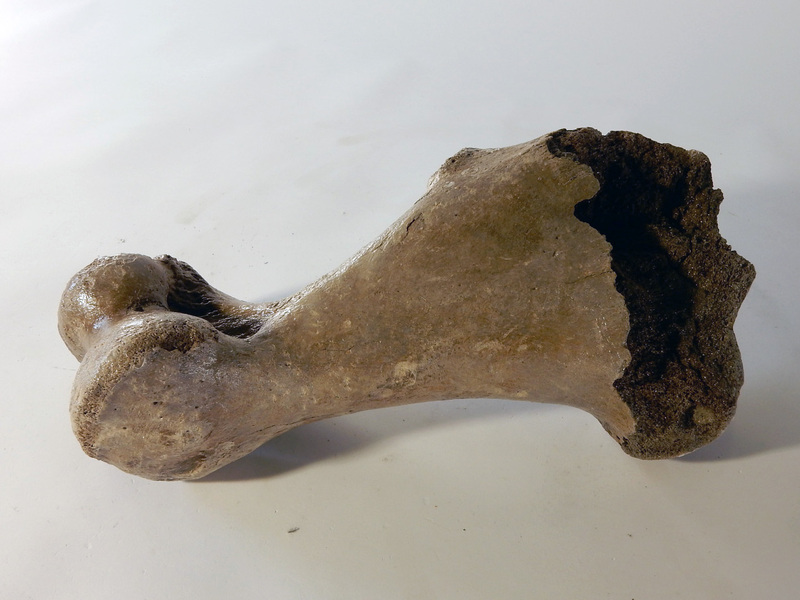 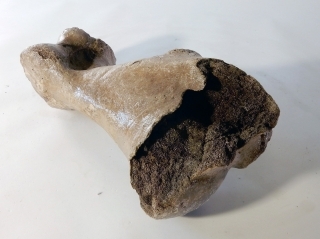 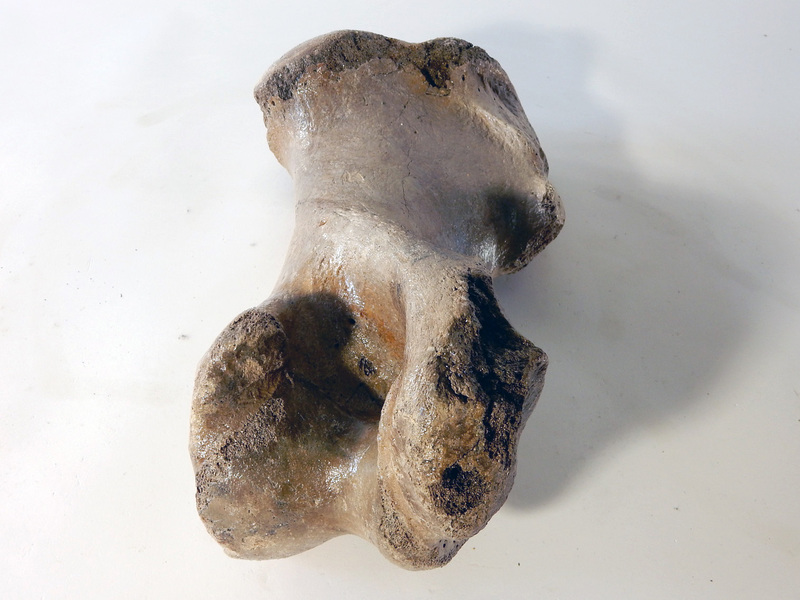 On offer is a rare humerus (upper arm bone) of a Woolly Rhinoceros from the Pleistocene era. 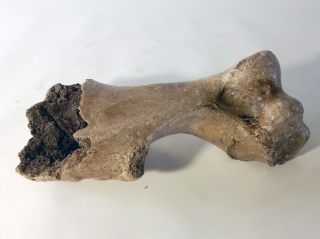 Somewhat damaged as seen in the images, but still a rare and good fossil. 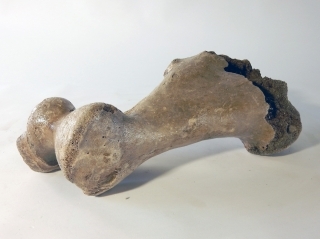 This is the right humerus of the animal. The black and white section of the ruler in the image represents 10 cm / 3.9 inch.